I had the pleasure of watching Terry Abraham's new film last night as he released a digital copy to Indiegogo backers. I have to say that it was a delightful watch. Terry has specifically asked folk to avoid spoilers and so this short review is deliberately vague and non specific but I hope gives a general flavour of the film. Firstly, this feels like a real evolution since 'Life of a Mountain: Scafell Pike'. Terry has clearly developed his art and the step up in overall quality is clear to see. It looks and feels like a more polished presentation. The overall structure flows better with a more defined beginning, middle and end. It follows the same documentary style with set pieces interposed by the stunning scenery and sweeping vistas characteristic of Terry's work. The use of aerial videography is an obvious addition to the Scafell Pike film and adds some visually stunning scenes which offer a genuinely new perspective to this familiar landscape. Threaded seamlessley throughout the film is Freddie Hangoler's score which provides the perfect backdrop for the visuals. Overall, the material is rich and varied but Blencathra itself is always the focal point. The mountain is thoroughly explored from the perspectives of a wide variety of different people from historians to thrill seekers, tourists to locals. Their stories create a changing mood throughout the film as we hear tales of adventure, hope, struggle and tragedy but the overall narrative is weaved together perfectly by local guide David Powell-Thompson who describes the scenery with reassuring expertise. I think this film most definitely achieves its goal in describing the 'life' of Blencathra and the local community. It's difficult to offer a more detailed or critical review without revealing spoilers but suffice to say that I would be surprised if anyone is disappointed with this impressive piece of work. Terry's films really are a unique addition to the genre and genuinely raise the bar in outdoor film making. The many hours spent alone on the mountain lugging heavy equipment or waiting patiently for the perfect shot has clearly paid dividends. This is patient, unrushed and meticulous film making which Terry has clearly invested considerable effort in bringing to fruition. Suffice to say that I really enjoyed it and I expect it will look breathtaking when it debuts on the big screen in May. I understand that Helvellyn will be the final mountain in the trilogy and I for one, am looking forward to it immensely. This is a 10 minute video of my winter climb up Helvellyn last weekend. 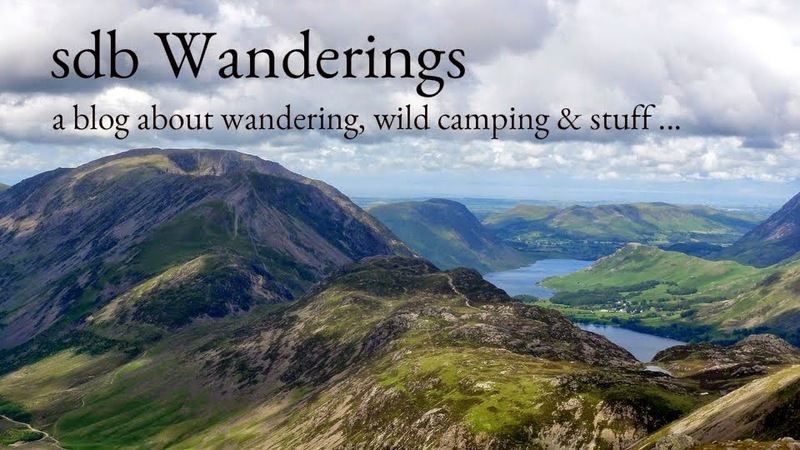 It's the classic horseshoe route from Patterdale up along Striding and Swirral edges. The route was in perfect winter condition. It was a real joy to be up there. Now there must be literally thousands of YouTube videos showing folk on this route. This is my take on it. I've been playing around with a Microsoft programme called 'hyperlapse' which speeds up and stabilises the sort of shaky videos commonly seen on hiking videos. I've used it on the sections when crossing the 2 'edges' but am yet undecided as to whether it's a useful tool or just good at inducing motion sickness! Judge for yourself.